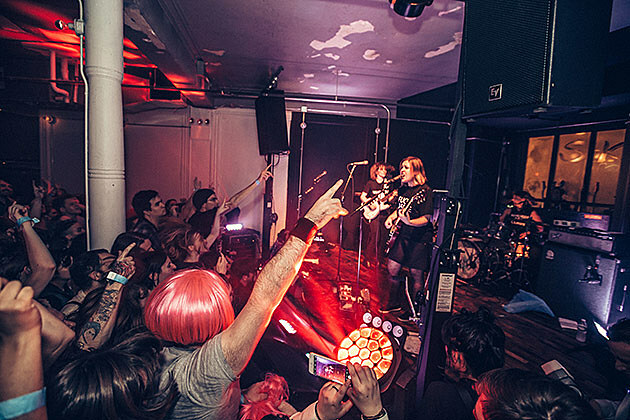 Bushwick DIY venue Market Hotel, gave us a preview of its renovated space back in December with Sleater-Kinney, and has just announced its first slate of official shows. Things kick off with official re-opening parties next weekend: January 22 it’s Via App, Kill Alters, Dreamcrusher and “very special guests tba” and then January 23 it’s Guerilla Toss, PC Worship, Pill and “special guests tba.” For both of those shows, tickets will be available at the door only (price TBA). Tickets for all of the above shows are on sale now. There are also Bunker parties and other shows. Full initial schedule is below. Look for more shows to be announced soon. Welcome back officially, Market Hotel.